There will be a lack of rain fall leading to a severe a drought during the coming three months and the public is asked to use water and electricity carefully, Minister of Disaster Management Anura Priyadarshana Yapa said today at a press conference at the Department of Government Information. The minister said the country had not received rainfall expected last year and the heavy rains in May and November were not enough to fill the total water requirement of the year - A three-month rainless season can be expected with rains only expected at the end of March, he said. At present, the major reservoirs are filled to only 27 percent capacity while medium-scale reservoirs contain less than 30 percent. Paddy cultivation is meanwhile at only about 1/3 and that will affect the coming Yala season, the Minister explained, adding that rice production in the major producing areas has also fallen to less than 35 percent. Considering the situation, government officials have been deployed to 13 districts - Anuradhapura, Polonnaruwa, Kurunegala, Puttlam, Trincomalee, Vavuniya, Mannar, Kilinochchi, Jaffna, Batticoloa, Mulativu, Hambantota, and Monaragala to discuss the prevailing situation with the relevant district officials and make necessary arrangements to provide relief. Minister Yapa said water would be supplied through bowsers, where necessary: About 1,754 water tanks have been requested by all the districts and they will be provided following the due tender process, he added. Meanwhile, he revealed, the National Water Supply and Drainage Board will repair hand pumps that are not working. The UN Development Fund and the UN Food Program have also been briefed of the situation, he added. 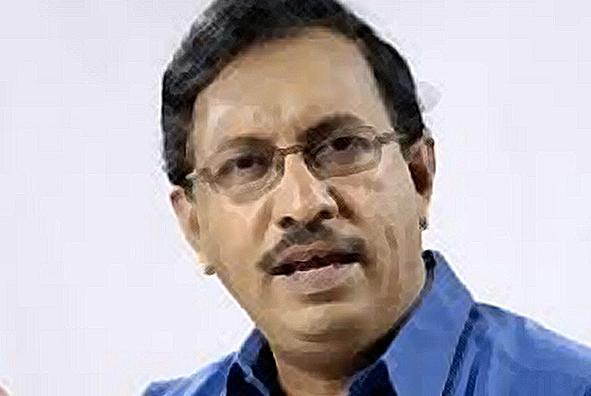 The Disaster Management Minister said President Sirisena has instructed the appointed Cabinet Sub -Committee to submit a report regarding the prevailing situation. Accordingly, a number of ministries including Water Supply, Irrigation, Agriculture, Social Welfare, and Power and Renewable Energy had submitted the report to the Cabinet of Ministers, he said - a special meeting in this regard will be held this evening under the patronage of President Sirisena.